Cocoa App was developing an app that promised a better way to record, track, and chart changes to your blood pressure. They were looking for an accessible design with simple interactions that would make the process easier. Icon and UI/UX Design for iPhone. CocoaApp was looking for an interface that would stand out in an exceedingly crowded health category. 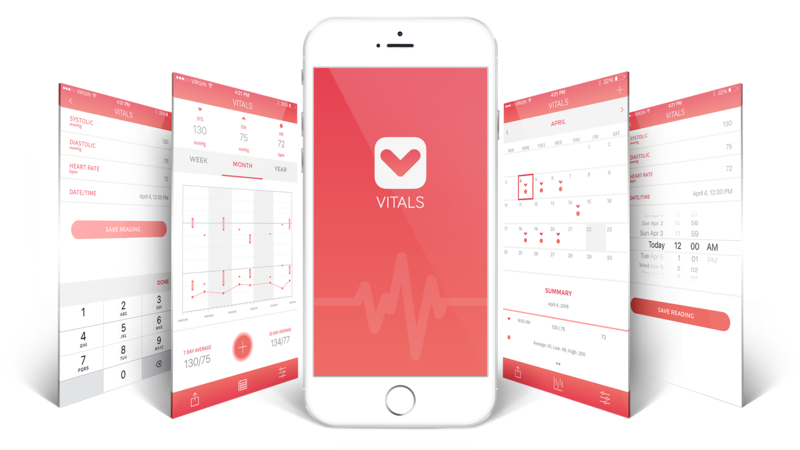 Our goals were to bring an accessible and intuitive design to what are typically very complicated and uninspired looking mobile applications. The icon and colour palette were inspired by the very fluid our lives depend on - blood - and represents the health and vitality of those users who choose to monitor it.